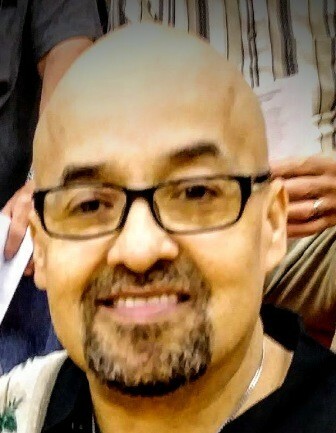 Jesse Torres lll, went to be with the Lord on April 14, 2019 after a sudden heart attack. He was born October 4, 1964 in Adrian, MI to Jesse, Jr and Mary Lou (Cortez) Torres. Jesse married Juanita (Gutierrez) Torres on July 22, 2017 in Adrian, MI. Due to health issues, Jesse was no longer able to work at McDonald’s, where he was employed as a manager for many years and was loved by his employees. Jesse was a member of Restore World Church of God in Adrian. Jesse is survived by his wife and her three children; Michael (Jessica) Phippen, Sharyn (Matthew) Dyer, and Nicholas (Brittany) Phippen and six grandchildren. He is also survived by his children, Ryan (Clarissa) Torres, Marissa (Cole) Young; and three grandchildren Ethan, Aiden, and Everleigh Young. Jesse is survived by his parents and three siblings; Randy (Sara) Torres, Gina (Scott) Torres Shough, and Tina (Scott) Torres Parish. He is also survived by many nieces and nephews who loved him dearly and he loved them. Jesse was a friend to many but had a special bond with his four best friends from grade school; Ralph Pablo, Able Martinez, John Nichols, and Steve Espinoza. Jesse was proceeded in death by his grandparents Alfredo and Estella Cortez and Jesse Torres; and nephews Joshua Torres, Matthew Olivarez, Daniel Cortez, and Ricky Lerma. A celebration of life service will be held at 1:00 p.m. on Saturday, April 20, at J. Gilbert Purse Funeral Home located at 2959 N. Adrian Hwy, Adrian, MI with Reverend Claude Bevier officiating. Friends may call on Saturday from 10 a.m. to 1 p.m. before the service at the funeral home. The body will be cremated after the service per Jesse’s wishes. In lieu of flowers, contributions can be made to Restore World Church of God in Adrian in Jesse’s name to help with funeral and hospital expenses. The family has entrusted J. Gilbert Purse Funeral Home of Adrian with the arrangements. Friends may visit www.pursefuneralhome.com to sign the tribute wall.